The Criminal Investigations Department (CID) yesterday filed charge sheets in Court against six accused including three Navy personnel and two ex-LTTE cadres affiliated to the Karuna faction for allegedly conspiring to commit the murder of former TNA Jaffna district MP Nadaraja Raviraj. Filing the charge sheets before Colombo Additional Magistrate Nirosha Fernando, the CID informed that the Attorney General had given instructions to conduct a non-summary inquiry in respect of the six accused - Palana Sami Suresh, Hettiarachchilage Prasath Chandana Kumara, Gamini Seneviratne, Pradeep Chaminda, Sivakanthan Vivekanandan alias Charan and Fabian Royston Tusen. Attorney General in the future due to insufficient evidence against them. Meanwhile, Court permitted the CID to proceed with the non-summary inquiry in the absence of Sivakanthan Vivekanandan alias Charan and Palana Sami Suresh who are believed to have left the country and an arrest warrant was issued for their arrests. The CID submitted that in the course of investigations, they questioned and recorded statements from 60 persons to ascertain the culprits' identity. The CID further informed that they even sought Scotland Yard assistance. 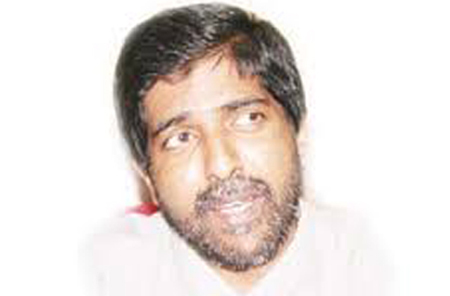 Two suspects Hettiarachchilage Prasath Chandana Kumara and Gamini Seneviratne arrested in connection with the incident were ordered to be further remanded till November 17 by the Additional Magistrate. Raviraj was shot dead near his residence at Manning Town, Narahenpita in 2006 when his vehicle was being driven by him along Martha Road. The CID had recovered the trishaw and the weapon allegedly used in the killing of the former parliamentarian.